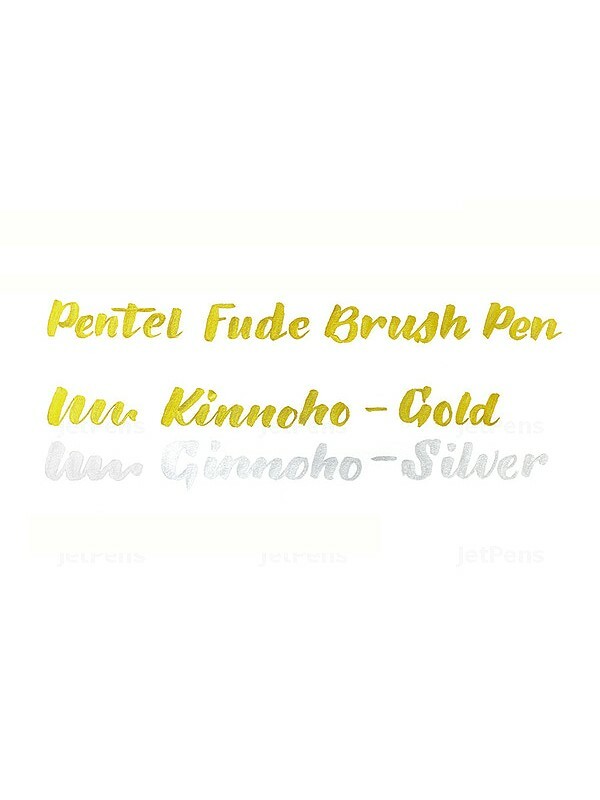 Filled with vivid, opaque metallic ink, this brush pen is perfect for creating beautiful brush lettering and adding festive accents to holiday and birthday cards. 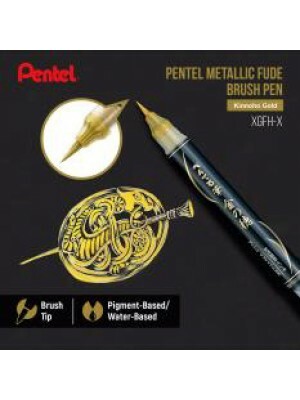 It features high-quality nylon bristles and a convenient push button for controlling ink flow. 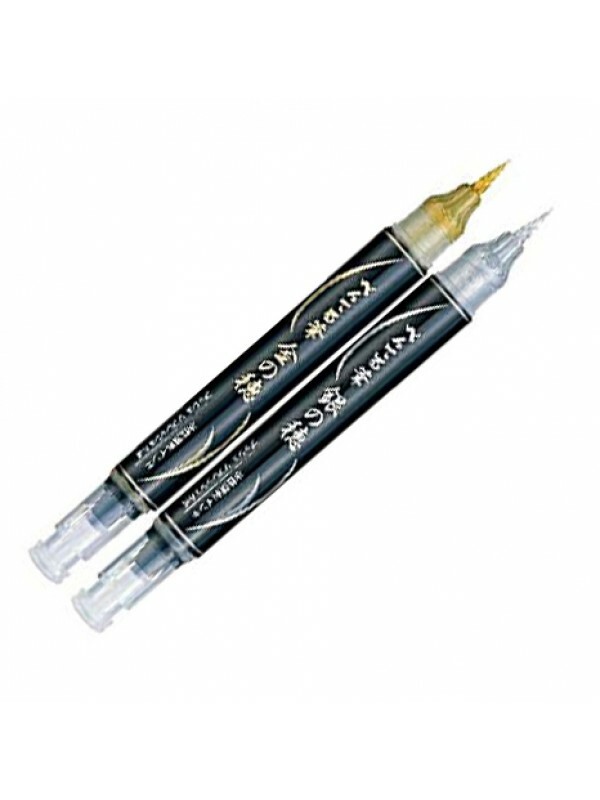 The first time you use the pen, push the button at the end of the pen until ink fills the tip. 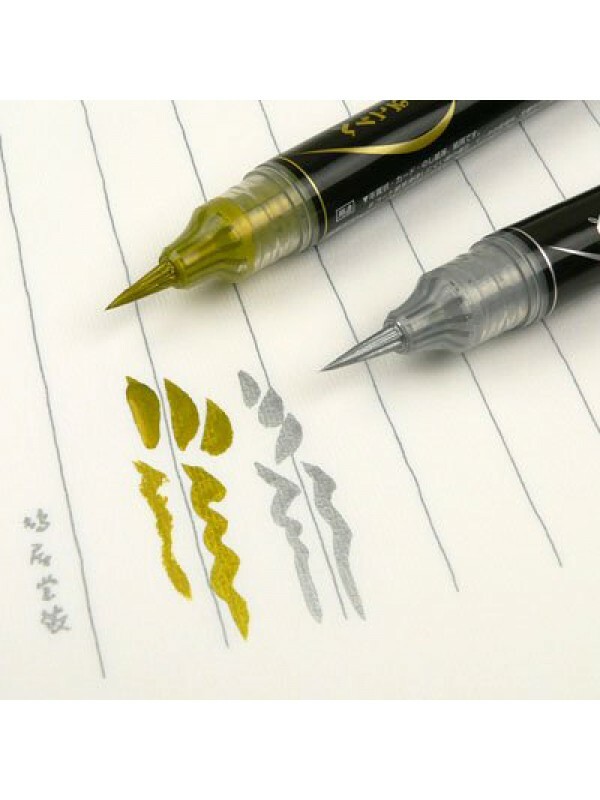 Whenever the writing becomes thin or dry, press the button again to recharge the tip with ink. Be careful when uncapping the pen. Accidentally pressing the button while the pen is capped can cause ink to leak into the cap. 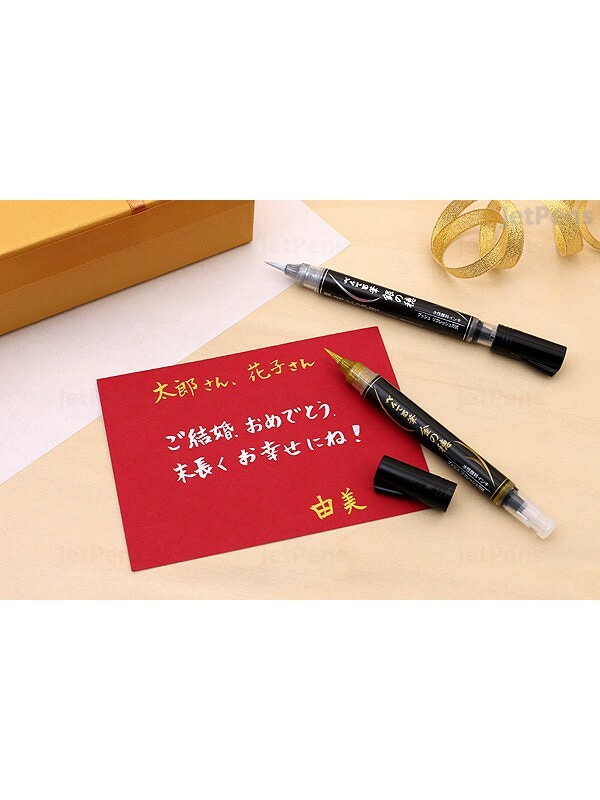 Store the pen horizontally or with the tip pointing up, and keep the pen away from excessive heat. 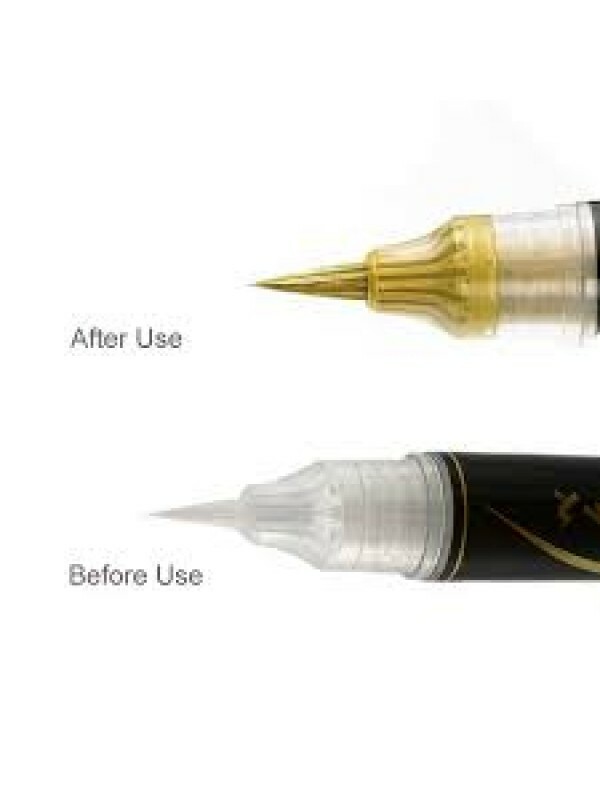 Storing the pen tip-down or exposing it to excessive heat can cause ink to leak into the cap. If the tip becomes dried out, dip the tip in hot water for 1–2 minutes. Dip only the tip in hot water, not the rest of the pen.